Congratulation to Reyna Marshall ,卞霏 (second from left) who receive 4/5 on AP Chinese Test!! 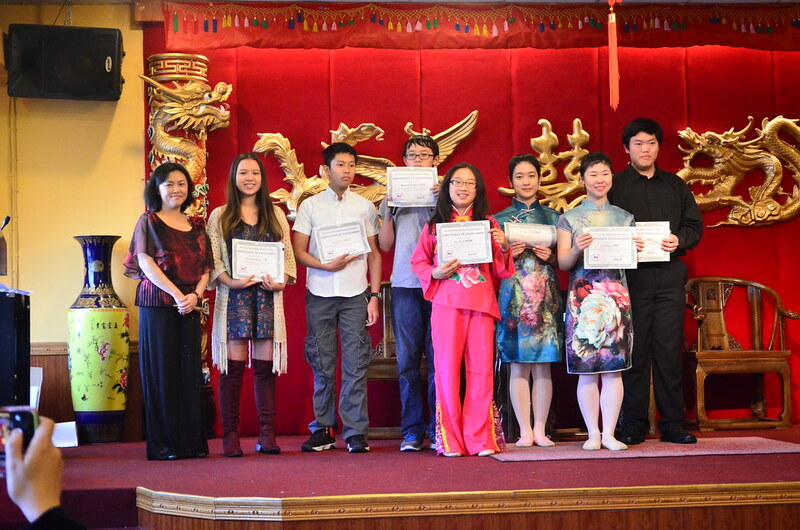 Congratulation to Tania Zheng,郑颜雯 (third from right) who receive 4/5 on AP Chinese Test!! Congratulation to graduation of James Lu, 卢杰明 （first from right）。He will continue his college study at Georgia Institute of Technology.